Firefox 15 (now in the Beta channel) supports the Opus audio format, via the Opus reference implementation. Opus is a completely free audio format that was recently approved for publication as a standards-track RFC by the IETF. Opus files can play in Firefox Beta today. First, Opus is free software, free for everyone, for any purpose. 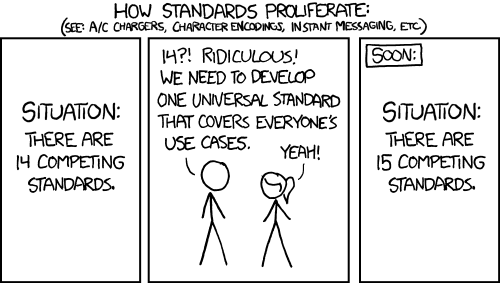 It’s also an IETF standard. Both the encoder and decoder are free, including the fixed-point implementation (for mobile devices). These aren’t toy demos. They’re the best we could make, ready for serious use. We think Opus is an incredible new format for web audio. We’re working hard to convince other browsers to adopt it, to break the logjam over a common <audio> format. The codec is a collaboration between members of the IETF Internet Wideband Audio Codec working group, including Mozilla, Microsoft, Xiph.Org, Broadcom, Octasic, and others. And none of those codecs have the versatility to support all the use cases that Opus does. At 64 kbps, Opus sounds better than both HE-AAC and Vorbis. A 64 kbps Opus file sounds as good as a 96 kbps MP3 file. That’s a lot of bandwidth saved. It’s also much more flexible. At the higher of those rates, it is perceptually lossless. It also scales between these two extremes dynamically, depending on the network bandwidth available. Opus works with the <audio> element just like any other audio format. While Firefox 15 is the first browser with native Opus support, playback is coming to gstreamer, libavcodec, foobar2000, and other media players. Live streaming applications benefit greatly from Opus’s flexibility. You don’t have to decide up front whether you want low bandwidth or high quality, to optimize for voice or music, etc. Streaming servers can adapt the encoding as conditions change—without breaking the stream to the player. Pre-encoded files can stream from a normal web server. The popular Icecast streaming media server can relay a single, live Opus stream, generated on the fly, to thousands of connected listeners. Opus is supported by the current development version of Icecast. To learn more visit opus-codec.org, or join us in #opus on irc.freenode.net. “Better compression than” … “Ogg” should probably say “Vorbis” instead of “Ogg”. The sample works perfectly in Opera 12 already. I can’t reproduce using Opera 12.00.1467/Presto 2.10.289 or 12.50.1513/Presto 2.11.310 on Ubuntu 11.10 32bit (gst-plugins-bad v0.11.92 installed); heard of somebody else failing, too. No word on Opus on official website opera.com on Opus codec. er – gst-plugins-bad v0.10.23, of course. Now that I’ve installed libopus and fixed my GStreamer installation it works for me too. Any plans to support Opus audio in a video container along with VP8 or similar? Any plans for a new revision of WebM? At this point, I’m not aware of any plans for Opus in WebM, though we never know. Technically, even if Opus was 50% more efficient than Vorbis, the total saving when counting video wouldn’t be that big. Of course, when we look into a new standard Opus would really make sense. For something like WebM, the main reason I would see to move to Opus would be about convenience, e.g. if there was a use-case for recording webrtc video that’s already encoded with VP8+Opus. Warnung: Medien-Ressource http://people.xiph.org/~giles/2012/opus/ehren-paper_lights-64.opus konnte nicht dekodiert werden. I’m running Opera 12.00.1467 on Debian testing and the audio clip played OK. I have the base/good/bad/ugly/ffmpeg gstreamer plugins installed. (linked from http://www.opus-codec.org/docs/#testvectors) don’t work. Please fix this bug. We’ll fix the bug. Multichannel support is scheduled for Firefox 17, and should be out in December. Firefox 15 and 16 only support stereo and mono files. after reading all this I can understand flexibility is the strong point of this new codec, but why exactly would anyone use this for streaming music instead of any other lossy codec with the objective of making it sound better? why not just go for lossless? For streaming purposes, better sound at lower bitrates is always a good thing. To my knowledge, HE-AAC is considered the streaming gold standard right now. The claim that this codec bests it is great news! Some people sometimes have to meet various bitrate constraints. With internet radio often your server has limited capacity – so with Opus you can serve more people. And users sometimes have internet lines that can’t handle CD-quality FLAC streams. And then you sometimes have varying network conditions and you can adapt to these on the fly with Opus. I can see your point. Almost forgot that sometimes internet connection is so bad that it can’t handle 1000 kbps, which would be enough for usual cd-audio quality. So, yeah. If this codec can efficiently adjust the bitrate on the fly, I can see why this is cool. In what kind of utopia do you live where you have a 1000 kbps connection? 250 kbps is standard here. I’ve got a 17mbps connection. (Bog standard ADSL2+). 200kbps is ISDN territority. Dialup is 56kbps. I think you’re confusing your K’s with your k’s. Byte = 8 bits right? When you download, the browser tells you KBytes/sec. When you play, the player tells you KBits/sec, and when you pick an internet plan, they show you KBits/sec. Y u no make one standard? Is there any work going on to get support into Android? With “Rockbox as an Application” (RaaA, http://www.rockbox.org/wiki/RockboxAsAnApplication2010) you should then be able to play Opus on Android. This I understood, but that’s not quite the same as getting native support in Android. Opus works for me on Firefox Beta on Android, at least over wi-fi. The Android version is Gingerbread that came with the phone. Tried the encoder, very fast, very good sound at 256 CBR. Also appears to compress well. I got a result of an 82% reduction from a wav file (Morning Mr Magpie by Radiohead) and the sound was excellent. I used the –music profile naturally. I’d also like to see Firefox on Android support this codec. Perhaps Aurora for mobile already does? Firefox Beta on Gingerbread plays the Opus sample in the article for me. (Tested over wifi). I’m curious, is there any plan to support some kind of encryption of something like this. I explain why. I’m using Deezer because I like searching for some music and listen to it quickly and from everywhere. I read that Deezer changed their interface to fit html5 except for audio flow which use Flash since nothing except Flash can handle encryption and so “guarantee” them that the music won’t be copyied. I really want to see something else replacing that feature of Flash to be able to use Deezer without the flash plugin installed. We have no plans to implement content scrambling for media streams. Such techniques are mostly useful to limit user action and create lock-in, which is counter to our mission. Mozilla will likely implement the MediaSource api, or something like it, which would permit websites to implement their own over-the-wire transforms, control buffering, report more accurate transit statistics and so on. So if I understand well, media source is like an extension of the current html5 video and audio tags?